Sewing is not only a relaxing, fun, hobby but a profitable one. Just look at sites like Etsy and you’ll see lots of hand-sewn items for sale, some for big money. 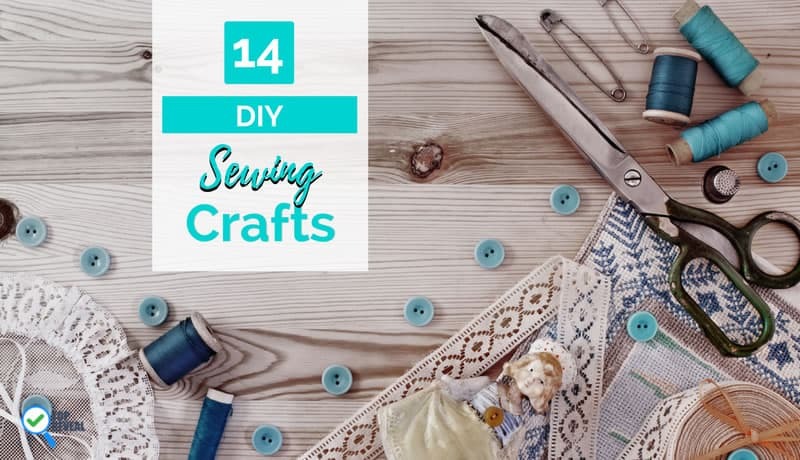 If you’re looking to make extra money or want to turn your hobby into a full-blown business then our list of 14 cool sewing projects you can sell is here to help. From the simple to the simply divine, there is something for every taste and skill level. This colorful drawstring bag is simple to make and perfect as a to-go bag for new moms or young kids. The steps are easy to follow and you can make them using different colors and designs to appeal to a wider demographic. It also costs pennies to make so you can turn a nice profit. The Little Yellow Couch’s storage basket is an easy piece to create and will be in high-demand. The chalkboard label means it can be reused in different ways and to hold different objects; also, the handles let whoever uses it either keep it at home or take it on the go. 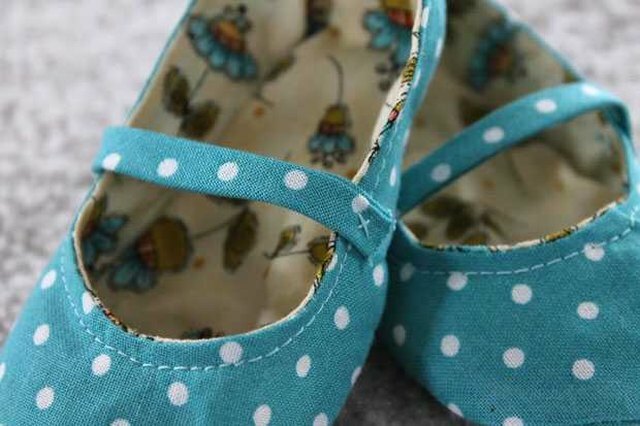 Baby clothing is always a big seller and I can guarantee if you sold these adorable shoes from eHow they would go faster than you can make them. 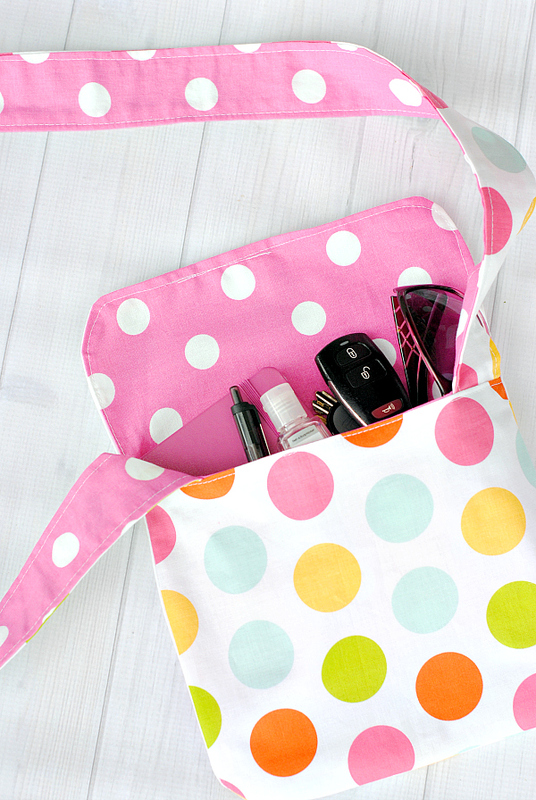 The pattern can be cut out and traced on the fabric, making the process quick and while these polka dots are really cute, you can go with any style or color that catches your eye. This stylish beanie from A Beautiful Mess has a bit of an intricate pattern, but for those with decent sewing skills, it is a great project. Once you start selling you can experiment with different design patterns and branch out. This darling messenger bag from Crazy Little Projects is ideal for spring and summer; surprisingly simple to make, it’s great to take to the park or beach and while it won’t make you rich, it can make you some extra ice cream money. Oh, and this pattern is definitely the way to go. Home decor is a profitable business and Mystic Mandy’s giant floor pillows are a good place to start if that area interests you. These cushions are great for family movie night or a kid’s room and the colors and styles are endless. If you plan to sell them try to photograph them in a decor that compliments the colors you choose to give buyers decor ideas. New moms are always in need of clean blankies and wraps, which is why this easy to sew set from the Sweeter Side of Motherhood is so smart. Using flannel and terry cloth materials you can create 3 burp cloths, 3 swaddles, and 3 headbands to package and sell together. Complimentary colors and patterns work best. When you sew with the purpose of selling, the idea is to fill a void and give buyers what they need most; this diaper and wipe carrier on Creative Capital B does just that. For moms who want to go for a stroll or head out to the store without packing a whole diaper bag, this carry-all is all they need. You could even slip your ID or credit card in there- a great feature you can point out when you advertise them. Want to sew something a bit more complex? Then try your hand at this spring-inspired tote via Thread Riding Hood. Totes are always big sellers and while they may take a bit longer to make than some of our other crafts, there is potential for a bigger payoff. 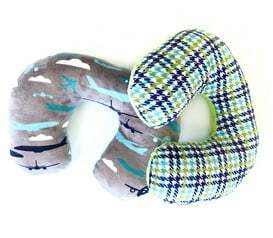 Crafty Gemini Creates has a project that I personally love: these stylish and stress-relieving neck pillows. Great for anyone who travels or even young kids who take lots of car trips. You can have a lot of fun choosing patterns, like cars for boys or paisley for women and you can adjust the size according to who you plan to sell to. If you’re daring enough and have been sewing for a while you might want to take on this cool kimono project via Keeping Up With Us Joneses. Relatively easy, this garment requires a steady hand and eagle-eye. But it is a great way to test the clothing waters and the unique design allows for higher profit margins. A girl can never have too many bags and after seeing this clutch from the Felted Fox I dare anyone to disagree. The classic black and white color scheme can go from work to a night out and the clean lines give it a timeless feel that works with almost any outfit. Priced right this bag will sell like hotcakes. There are times, believe it or not when even the most handbag-obsessed girl just wants a cute wallet/organizer to stick in her pocket and go. 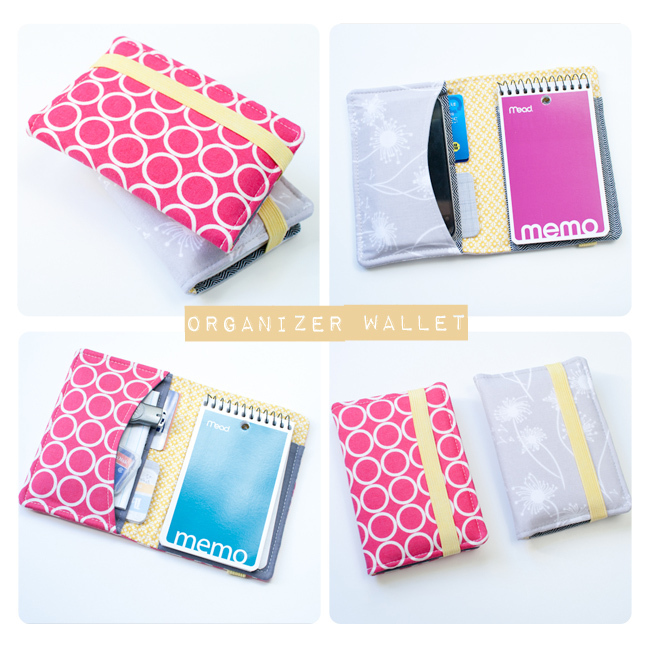 And this fun little organizer fits the bill. Not only are they quick to sew, allowing you to sell larger quantities, they also are quite durable. These make great stocking stuffers, birthday gifts or white elephant gifts. See other DIY projects without power-tools too. One of the most searched topics online are D.I.Y. home decor projects like these pillow covers from Craftsy. 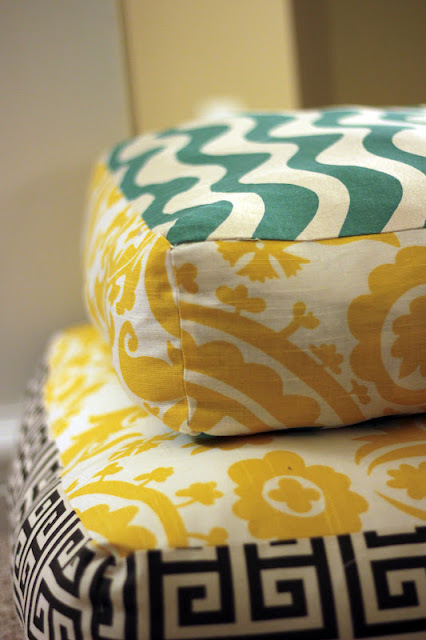 Designed for square pillows, talented sewers can adapt the steps and measurements for other-size throws. 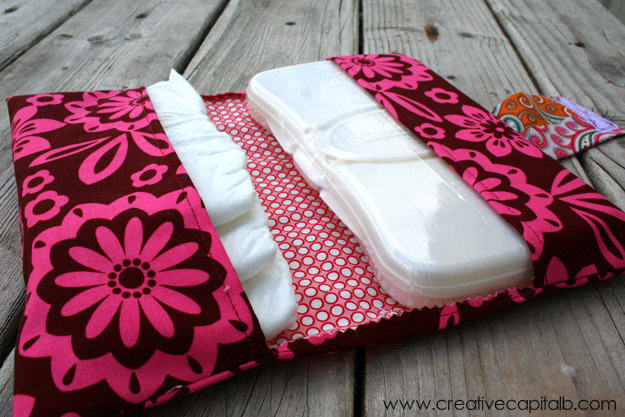 What did you think of our list of 14 cool sewing projects you can sell? Give us your feedback and let us know how your projects turned out! Great DIY Bookshelf Ideas for Your Home. Read All About It!